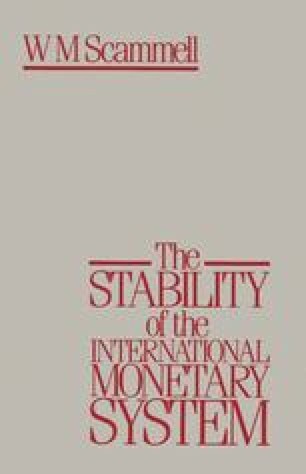 This book examines the international monetary system — a part of a wider and perhaps more acceptable conception, that of the international economy. Within the international economy, as a complex of trading relationships based on commodities, services, skills and factor exchanges and built up over centuries, there exists the complex of relationships by which such an economy is financed. As money forms a distinct concern within the exchange and production of any single national economy, the international monetary system has its own existence as an integral part of the wider international economy.